In a town with The Video Station, opening a new DVD store may seem like sheer madness. But Colin Skurnik is doing it with only 700 square feet in a new store called theDVDetective in the Williams Village shopping center in Boulder. 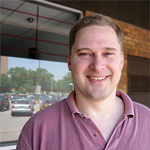 Skurnik is the proprietor of the on-line DVD store theDVDetective.com, which, like his new bricks-and-mortar store, focuses on non-region-1 DVDs. Every DVD can be encoded with a certain region number. Region 1 correlates to English-speaking North America, region 2 is Europe, and so on. Discs encoded for region 2 generally do not play on players sold in region 1. 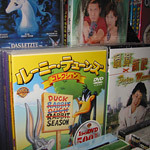 The idea of “regions” was written into the specifications of the DVD format at the insistence of movie studios, who, at the time, scheduled different release dates for movies in different parts of the world. But these days, the region coding has lost a lot of its importance, and region-free players are readily available. Your current player may already play DVDs from different regions. “Some older players can play discs from any region, but it’s hidden in a menu somewhere,” says Skurnik. If that’s too much trouble, region-free players will work automatically. You can buy one at theDVDetective for as little as $50, although Skurnik recommends at least the $80 model that will give you the correct aspect ratio on your TV when playing movies encoded in PAL (the video format used in Europe). Once you have a region-free player, you can browse theDVDetective’s selection of a thousand DVDs from all six regions of the DVD world. Find martial arts movies from Asia, special editions of films like City of God from Europe, or even that little horror film from Australia. But you don’t have to be a geek to get into region-free. It’s also about global access and breaking artificial barriers. The Korean film Oldboy, ranked #103 on the IMDb’s all-time top 250 movies, played for just a week in Boulder this spring, in spite of critical raves. And until the fall IFS starts up again, you’ll probably never get the chance to see it. Or, you can go to theDVDetective and buy the Korean DVD and watch it at your leisure. You can also find movies like Bernardo Bertolucci’s 1900. It is available at the Video Station, but only on VHS. If you want to have DVD-quality picture and sound, you’ll need to pick up the region 2 version of the disc from Germany. There are other, more subtle benefits, too. Skurnik says he likes a lot of the packaging from around the world. “If you buy the region 1 DVD of The Blues, it comes in a regular DVD case. But if you buy the German version,” (Region 2, PAL), “it comes in a box shaped like a guitar.” Just make sure your blues-lover has a region-free player. You can meet Skurnik at theDVDetective, which opens on Saturday, June 18 at 11:00. Stop in at 675 30th St. in Boulder (the Williams Village shopping center at 30th and Baseline) to see what’s available or just to chat with the expert. Hours of operation are 11 AM to 8 PM, Tuesday through Saturday.